In his career he has completed transactions to a total of over €400 million, €100 million of which was in real estate development. Having managed and stock listed investment vehicles in the real estate and renewable energy sectors he has extensive experience and networks locally as well as internationally. In his career he has held several CFO and CEO positions as well as a number of turn-around management positions that resulted in successful exits. Per Hansson’s career in Central Europe started with IKEA and IKANO. In 1997 he was appointed CFO and Director of the Board at IKANO of the Czech as well as the Austrian portfolio companies and successfully restructured and re-launched the real estate portfolio in 1999. In 2000, taking over as CFO at Central European Land, he restructured and developed it into a well-renowned investment vehicle and launched the company on the Austrian Stock Exchange after advancing to Chairman of the Board in 2003. From 2003 as a Director of the Board and CEO for the CEE at CREDO AG, he expanded and managed the subsidiaries and the investment portfolios in Central Eastern Europe. Building CREDO AG into a successful development company, CREDO AG was sold to Constantia Privatbank AG in early 2007. 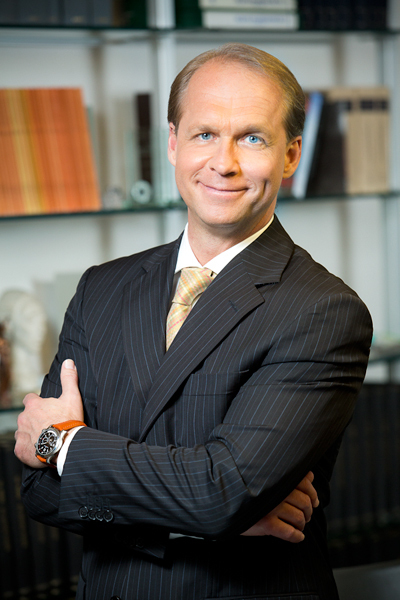 In 2008 Per Hansson founded Tri-C Investments.